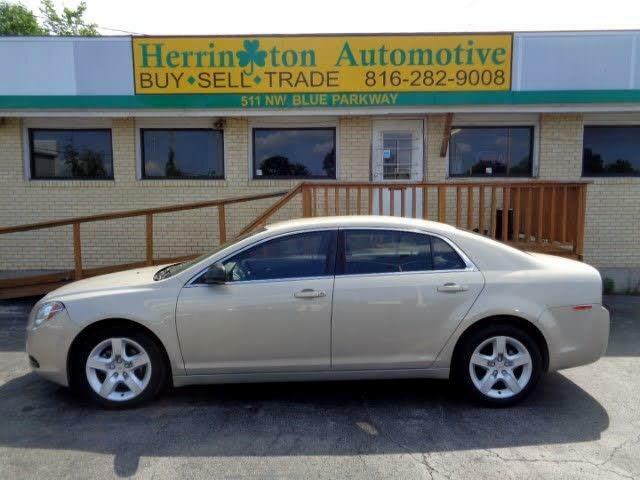 Low mileage vehicles are here at Herrington Automotive. Take a look at this new arrival. 2011 Chevy Malibu. Clean inside and out. runs and drives great. Nicely equipped with power windows power locks tilt cruise control alloy wheels ice cold a/c and powered by the reliable fuel efficient 2.4L 4 cylinder engine. We have financing options available if you need it. Call us today at 816-282-9008 to schedule a test drive.